Accelerating tooth movement: more than a placebo effect? The session has 3 high calibre speakers and will focus on non-surgical adjuncts (vibration and lasers/light) to orthodontic tooth movement. The experts will review the rationale and evidence for effect, the current state of affairs and a look to the future. Join us for a provocative session that will affect your clinical practice. 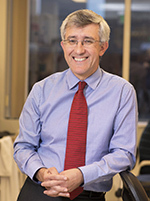 Martyn Cobourne is Professor and Academic Head of Orthodontics at King’s College London. He maintains a research lab which focuses primarily on investigating the role of molecular signalling pathways during early development of the head and face. He also conducts clinical research, including a number of RCTs investigating the efficiency of treatment, including self-ligating brackets and vibrational force. He was Director of Research at the British Orthodontic Society 2012-16 and is currently Editor-in-Chief of the Journal of Orthodontics. He is the author of two successful orthodontic textbooks, the Handbook of Orthodontics (with Andrew DiBiase, now 2nd edition) and the multi-author Clinical Cases in Orthodontics. Alpdoğan Kantarci is a board certified specialist of Periodontology and a Diplomate of the American Board of Periodontology. He works at the Forsyth Institute and serves as a faculty member at Boston University and Harvard University. His research interests include biological mechanisms of accelerated orthodontics, salivary diagnostics of systemic diseases, molecular mechanisms and resolution pathways of inflammation and clinical applications of high-throughput analysis. He is the recipient of federal, international and industry-supported research grants and holds patents. He has published more than 120 articles, edited books, wrote chapters and presented extensively in dental and medical congresses. 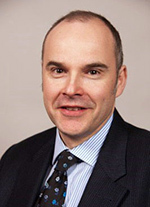 Padhraig Fleming is Reader and Clinical Lead in Orthodontics at the Institute of Dentistry, QMUL, London. He is an Associate Editor of American Journal of Orthodontics and Dentofacial Orthopedics and the Journal of Dentistry. He has published over 100 peer-reviewed papers and has received awards from the British Orthodontic Society and the American Association of Orthodontists. 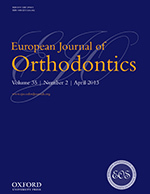 He has co-authored two orthodontic textbooks, Clinical Cases in Orthodontics and Functional Appliances: Theory and Practice, and recently published 3 Cochrane reviews on adjunctive techniques to orthodontic tooth movement.